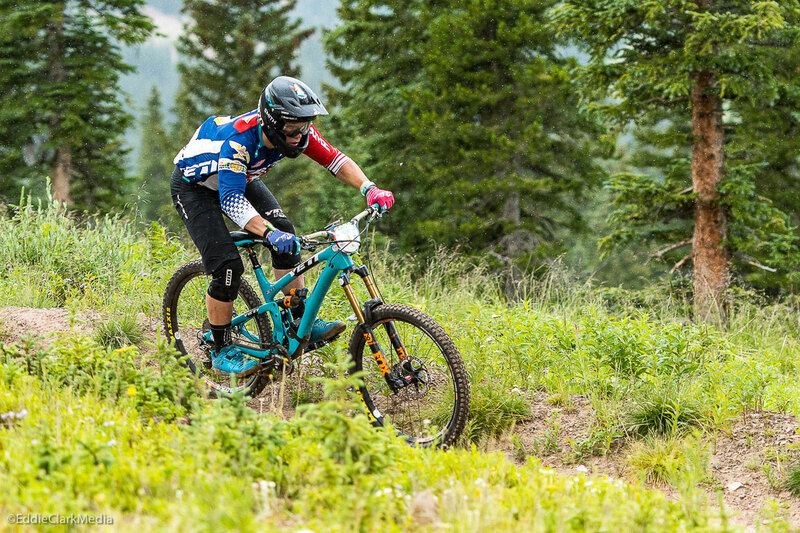 Though his weekend in Aspen-Snowmass didn’t go as planned, Yeti-Fox rider Richie Rude still managed to hang onto his overall series lead through the fifth of eight stops of the 2016 Enduro World Series. A hard crash on the first day of practice resulted in a banged up shoulder and forced the young American to skip the second day of practice. That meant racing some stages blind, which added up to a 25th place finish in Colorado. Former teammate Jared Graves, who now rides for Specialized, took the win. But despite the lackluster outing, Rude has a 210-point lead over second placed Damien Oton and remains on track to repeat as overall series champ after taking the title in 2015. 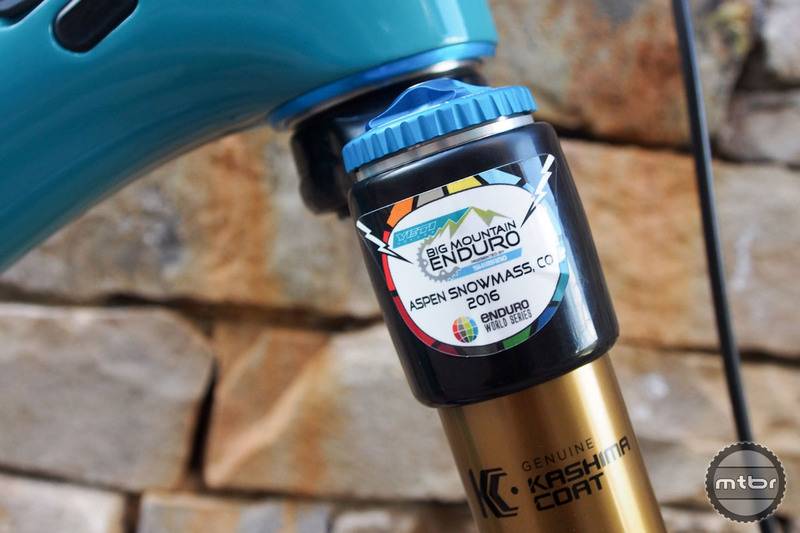 Next up is a one-day EWS stop in Whistler, British Columbia, on August 14. 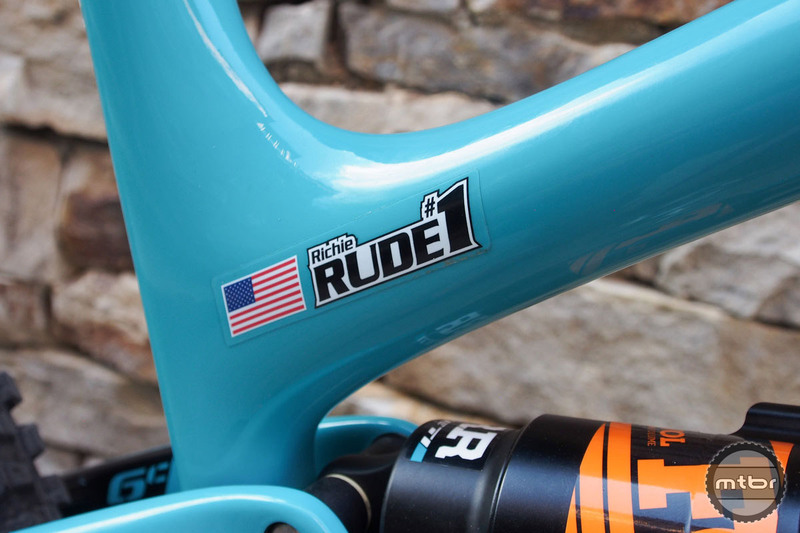 As usual, Rude will be piloting his Yeti SB6c. Mtbr got an up close look at this perennial race winning rig. Scroll through the photo gallery below to see and learn more. 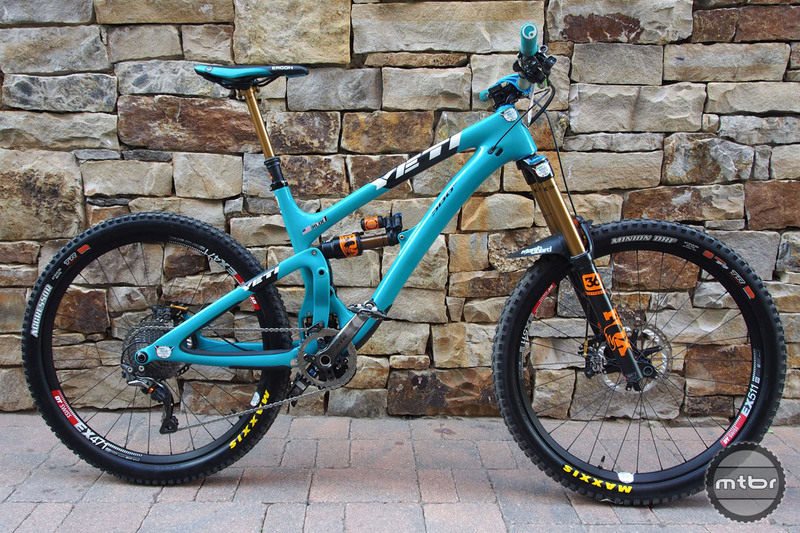 Richie Rude’s size medium Yeti SB6c is one great looking enduro racing machine. 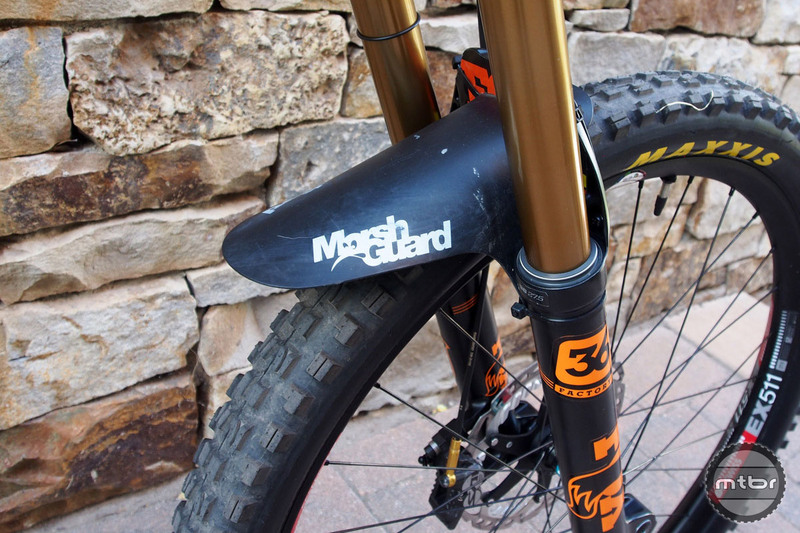 Rude runs a Fox Float X2 150mm rear shock inflated to 205psi. Rude earned the No. 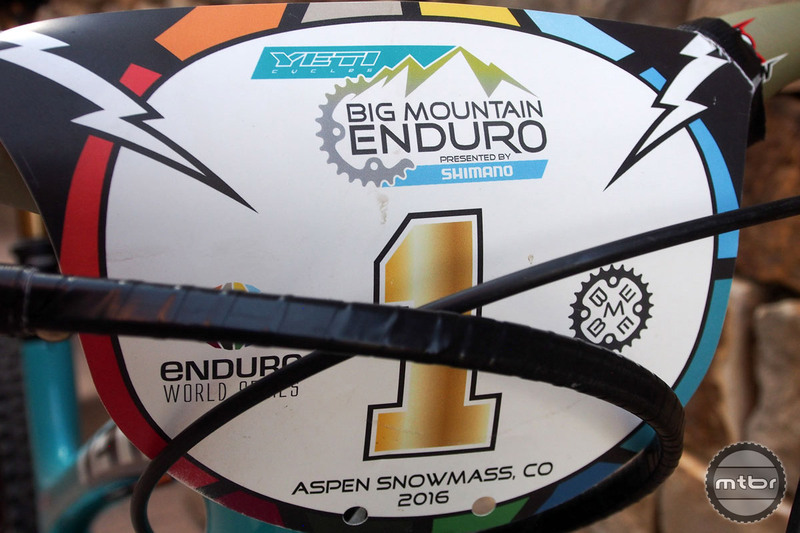 1 plate thanks to his overall EWS triumph in 2015. 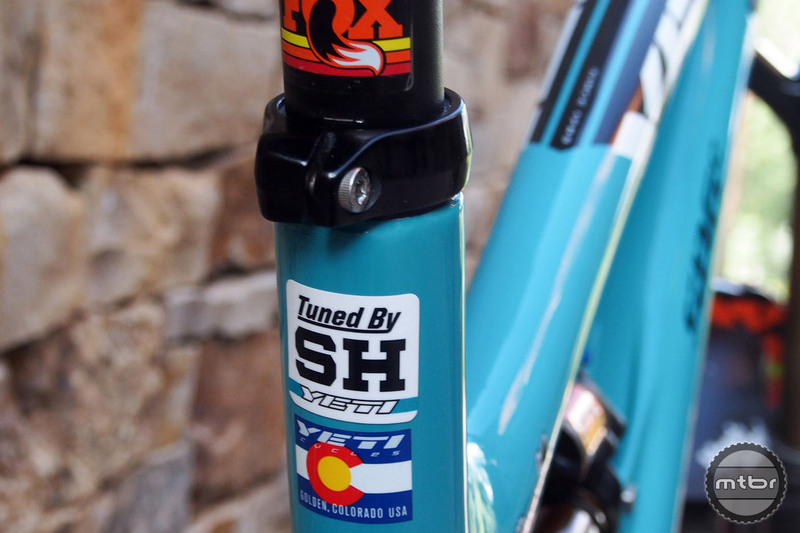 That sticker means this bike (and that 170mm Fox 36 fork pumped to 98psi) are race ready. 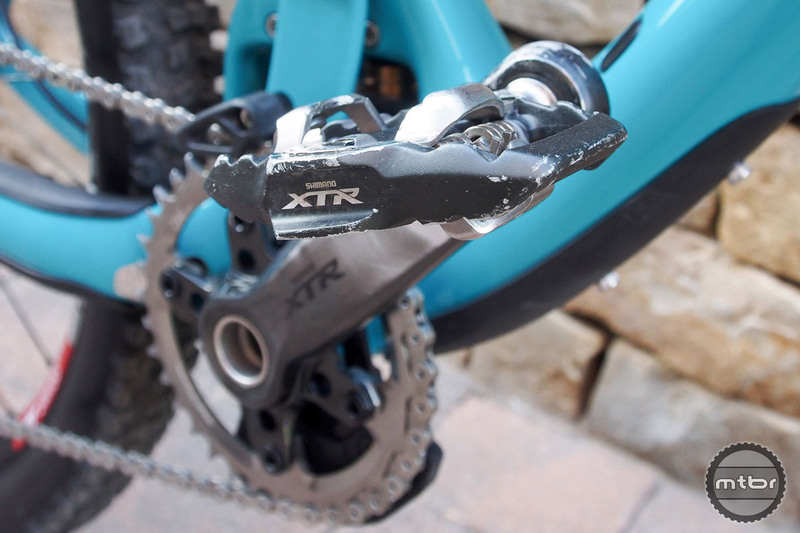 Well worn Shimano XTR pedals help Rude put down the power in pedaling sections. 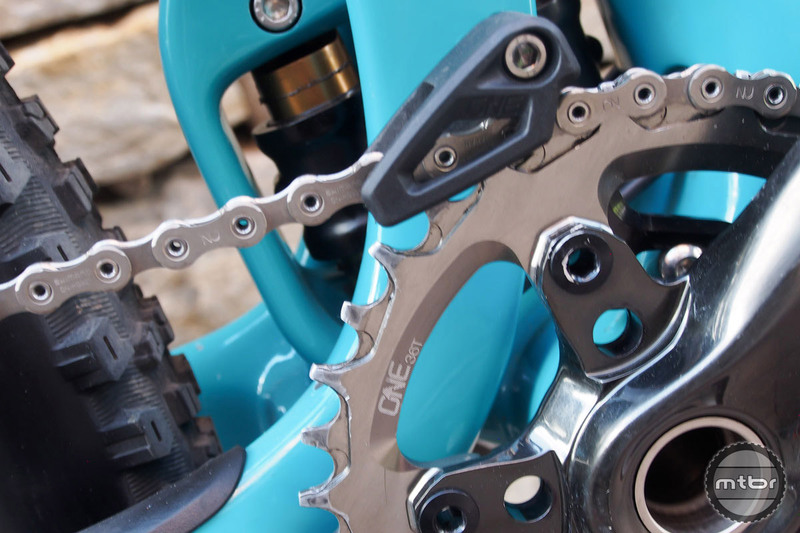 Cranks are also Shimano XTR. In case there was any question about the owner of this bike. 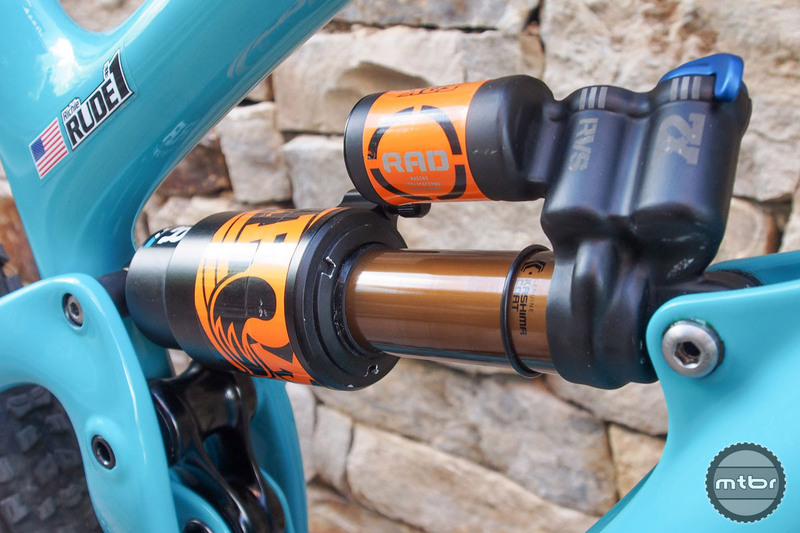 Bars are held in place by a 60mm Renthal Apex stem with no spacers. 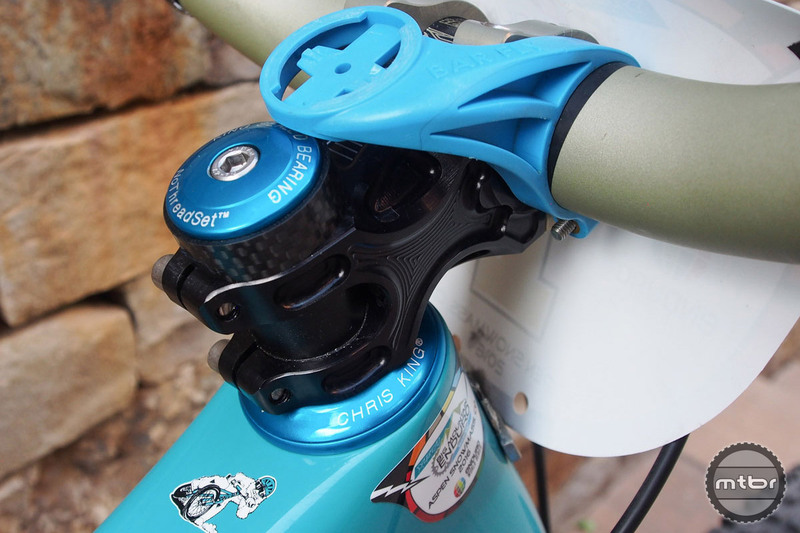 The Bar Fly mount keeps Rude’s GPS out of harms way. 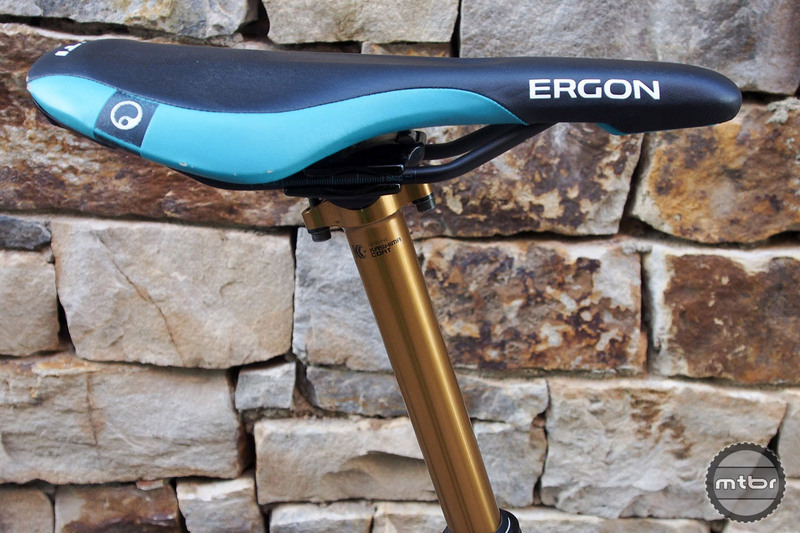 A custom Ergon saddle is raised and lowered by a Fox Transfer dropper post. 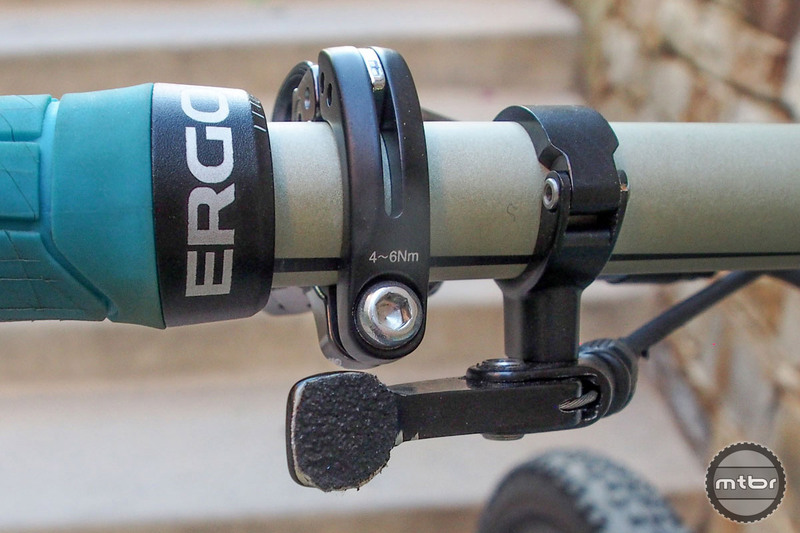 A little skateboard tape on the Fox dropper post lever assures a firm grip. Credit to the mechanic, Shaun Hughes. The Aussie was Jared Graves’ personal wrench, but stayed on with Yeti when Graves switched over to Specialzied after the 2014 season. Rude runs a 36t OneUp chainring up front. A little mud protection is never a bad thing.